I was Sister Faustina’s superior in Vilnius, where she came to stay in 1929. She seemed to me to be a serious sister who had spiritual maturity already. Sister Faustina was secretive, so I did not disturb the silence in her soul. Later, when outside help was required to paint the image and she could not manage to do that on her own, her revelations became clearer to me, however, despite that, I did not want to ask her a lot of questions. In my opinion, the matters were more serious, more experience was needed and that’s why when she had various doubts, most frequently I referred her to our Mother General, Michael. I was pleased to look at her peace when she worked; she could work and then take breaks and do spiritual exercises. In the beginning I noticed that she went to the chapel frequently and she was preoccupied with this. The sisters were overworked and many of them said: it’s good to go to the Lord Jesus and leave us to ourselveswithout help. I told her to make efforts to aid them, to make it easier for them so that they also do the spiritual exercises and I did not have to say it again since that time. She was eager to do each of her duties. Although she had not been trained, she thought that obedience would do the rest, which was the case, indeed. When she started working in the garden she could not do anything there. Slowly she learnt a lot. She put her heart into working there, especially into a small greenhouse, and she eagerly gathered all information about this subject from specialists. The wards liked working with her and appreciated that she was gentle with them. She was very patient and was never heard to say that our wards were useless, that she could not teach them anything etc. She always very patient with them and they found her smile nice and appealing. The wards emphasized that, among other virtues, she had the one of obedience. Then the image was to be painted. When everything was settled and Professor Kazimirowski hired, we started to go to the Rasos district, to the Sisters of the Visitation, where he lived, in order to tell him how to paint it. When it was almost finished I went to the room with Sister Faustina – we were to say whether the image was good or not. She was not pleased with it entirely, which worried Professor Kazimirowski. However, although we had some reservations about the picture, it seemed to be different from regular ones. When Sister Faustina came back to ‚Józefów’, where I also was, I frequently noted that she was upset because the Feast and worship of the Divine Mercy progressed slowly. For that reason it could be seen that that her disposition was frequently unbalanced: she was sometimes very joyful and then she was sadder, which had not been the case previously. During one of our conversations she mentioned the other congregation and I told her that the Divine Mercy would not leave us – she did not counter. I noticed the following qualities in Sister Faustina: she was glad when the Church was happy and sad when the Church suffered. She hated sin, made efforts not to commit even the least one and, by approaching the Holy Sacraments frequently, she tried to purify herself from her imperfections. She always directed her thoughts towards God and she frequently expressed them by saying: ‚Oh, how good is God!’ Her love for God revealed itself when she talked about Him passionately. Whenever she could, she poured trust into people’s hearts. She distinguished herself by integrity. It could be felt that she loved solitude, silence and prayer. I can still see her kneeling on her kneeler in the chapel, with her gaze fixed on the tabernacle. I never saw her in a lying position on the kneeler. Her eyes shone when she looked at the Blessed Sacrament. They were radiant, as if she saw the Lord Jesus Himself. She was not expansive and thanks to that she concealed her sanctity from the others. She avoided praise and human recognition, however, those around her considered her to be outstandingly virtuous. They were aware of the graces that God bestowed upon her and frequently asked her for prayer believing that it would be heard. I always noticed that she was cheerful. She also distinguished herself by patience and courage, especially during her last illness, which she bore patiently, frequently arising within herself acts of love of God. She predicted the day when she would die, saying that it would happen on the 5th October. As regards matters pertaining to the Divine Mercy, it was very difficult for her to renounce her self-will. With time, no matter what she was told, she submitted everything to God’s will, saying: ‚All right, if this is the will of God’. I did not see that she had any glaring faults. Her small imperfections, which were not off-putting, were disappearing slowly and during the last weeks of her life it could be felt that her soul was closely united with the Lord Jesus. Her spirituality radiated from her and because of that I was sad to leave her room. I visited her when she was ill in Prądnik. Once I was told on the phone to come to Sister Faustina because her condition was already bad. I went there immediately. She was calm, however. I suggested that she receive the Holy Sacraments, to which she agreed readily, saying: ‚All right, dear Mother, if you wish so’. She received them devoutly. Later, Sister Faustina said to one of the sisters: ‚I knew that I would not die anyway’. When I visited her she said to me that the sick came to her and she also told me about the sanatorium manager, who confided to her many problems that happened on the hospital premises. Once, when I was there, he came to Sister Faustina, sat down on a chair and said: ‚One comes to his good child at the end’. During the last illness she said: ‚It is good for me to be ill with this di- sease… Dear Mother, you will see that I will be a great joy of the Congregation…’ I asked her if she was happy that she would die in it and she replied: ‚Yes’. When I came to Sister Faustina soon before her death she rose in her bed asking me to approach her and she told me: ‚The Lord Jesus wants to exalt me and made me a saint’. 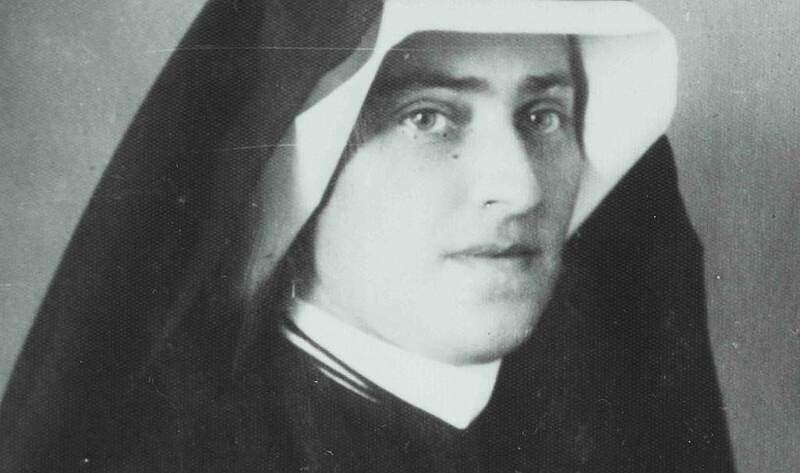 I felt that Sister Faustina was very serious and I had a strange feeling that she considered this assurance to be a gift of the Divine Mercy and that there was no pride about this at all. Stirred by what I heard, I left her room, however, I did not really realize how important the words were.